The National Council of Churches in India welcomes new interns for 2016 – 17. These young people have come from different regions and backgrounds. During their time at NCCI, it is hoped that they would explore various concerns, learn and contribute to the strengthening of the ecumenical movement in India. 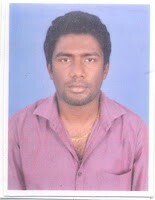 Ngalaton is from Nagaland and is an intern for Tribal and Adivasi concerns. She has done her B.D. from Bishop’s College, Kolkata in 2016. She has earlier worked as a secretary in Evangelical Union ministry at Patkai, Sunday school staff in Senakeithei village, Manipur, and has been a member of Nagaland Singing Ambassadors Choir. She is seeking for an opportunity from NCCI to explore herself in the best possible way, to have a wider picture of Tribal and Adivasi concerns beyond North East India which she believes will be of great benefit and help for her future M.Th. studies. Shitovi is intern for Youth concerns. He is from Dimapur, Nagaland and has done his M.Th. in Missiology from Aizawl Theological College in 2016 and B.D. from Easter Theological College in 2013. He served Dimapur Sumi Baptist Church as a Youth Coordinator (Voluntary service) in 2013-2014. He is a worship leader of his church. He want to improve his skills in programme strategies, social analysis, communication, inter-personal mission and evangelism, and leadership. 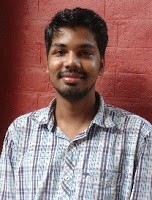 Manas is serving NCCI as an intern for concerns of Unity, Mission and Evangelism. He has done his B.D. from Bethel Bible College, Andhra Pradesh in year 2016. He is from Adarshapara C.N.I. 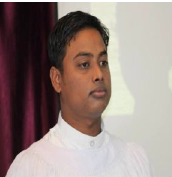 Church, Sambalpur Diocese and has worked as a Secretary of the Youth Fellowship in his church and was engaged in social works like cleaning the surroundings, Plantation, Rally against Gender Discrimination and Environmental Degradation, and has attended programs on social work in the church. Hungreiphy Zas hails from Manipur. She belongs to the Tangkhul Baptist Church, which is a member of Manipur Baptist Convention. She has graduated recently in Bachelor of Divinity (BD) from Leonard Theological College, Jabalpur. She is an intern for All India Council of Christian Women- Women’s Wing NCCI. She wants to be a part of NCCI to get experience and skills in various fields especially improvement in communication skills, as well as to expose herself in a wider ministerial area. Jyotirmaya is intern for Dalit concerns. He is from Titlagarh, Odisha and has done his B.D. from Bethel Bible College in year 2016. He was a youth leader of his church and served Christian Endeavor as a treasurer. He is looking forward to learn leadership qualities and to bring justice and equality for Dalits. David is working with All India Sunday School Association as an intern. He is from Nagpur. He has done his Bachelor’s degree from Science stream in 2016. He is member of Harvest Church, Nagpur and is actively participating in church activities such as organizing youth events, operating sound system etc. His objective to join NCCI is to bring unity among all denominations and churches. Arina is from Nagpur and has done her graduation in Commerce in 2016. She is a member of St. Francis De Sales Cathedral, Nagpur. 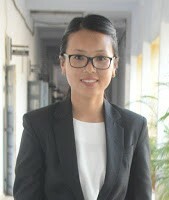 She is a part-time intern for IDEA Forum of NCCI. She is very active in her church and a part of the Youth Choir. She is looking forward to learn more about missionary activities through NCCI. https://ncci1914.com/wp-content/uploads/2016/08/aton.jpg 200 139 Neelam Gaikwad http://ncci1914.com/wp-content/uploads/2018/05/NCCILOGO105-300x72.png Neelam Gaikwad2016-08-01 17:22:182017-07-25 11:52:57NCCI welcomes new interns for 2016-2017. Interns Orientation Workshop conducted.